Tech Tip: Clean wheels and no squeals out of Mintex Metalmaster brake pads. Original equipment pads are organic and made from a soft material so they will stop the first time on cold initial applications but they also wear quickly and groove the brake rotors. 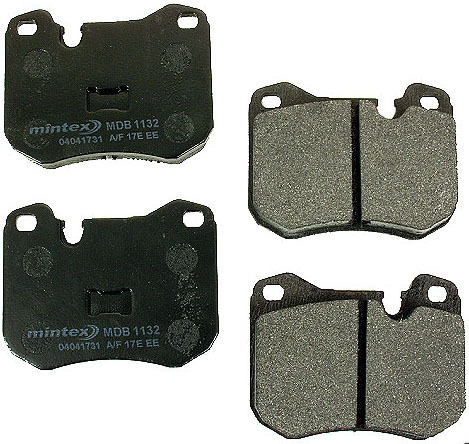 The Mintex performance pads wear longer and wear flat with very little grooving of the brake rotors. They leave very little brake dust with minimal brake squealing noise.